* To schedule a confidential consultation at either the plastic surgeon’s Beverly Hills or NYC plastic surgery practice simply phone our office or request your consultation online. Dr. Harrison Lee performs a complete range of plastic surgery procedures for both men and women. The triple board certified plastic surgeon works with a team of highly qualified and experienced medical and professional staff to make certain that you receive the finest care possible. His priority is ensuring that your plastic surgery is safe and that your results are natural. Each plastic surgery patient will experience thoughtful consideration by Dr. Harrison Lee. Thorough examination, incorporating a medical history, is utilized to optimize the patient’s best possible surgical outcome. Realistic expectations are discussed, with in-depth conversations about options, risks, and benefits for each procedure considered. It is imperative that patients do not feel pressured in the decision-making process. Discussion with partner, friends or family members is encouraged prior to deciding on any plastic surgery procedure. Dr. Harrison Lee is trained to the highest possible standards in facial plastic surgery and reconstructive surgery and has gained world-wide recognition in his field. His patients not only trust his professional judgement and extensive experience, they feel cared for as individuals. 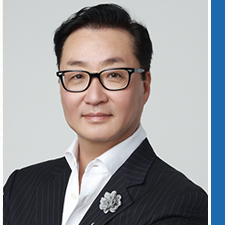 Dr. Lee is a sensitive and caring plastic surgeon who will meet with you personally at your consultations and explain in detail what can be achieved with plastic surgery and what you can expect before, during and after surgery. If you would like to schedule a consultation with the best in class facial plastic surgeon, Dr. Harrison Lee, for a facelift, rhinoplasty, necklift, FFS surgery, liposuction, breast implants, cheek implants, Asian eyelid double fold surgery, or one of the plastic surgeon’s other offered procedures at either his Beverly Hills or NYC plastic surgery practice please feel free to contact us.